Experimental models have always played a significant role in the history of Rolls-Royce Motor Cars, from the first – 1EX, built in 1919 – to the most recent – Rolls-Royce 101EX, built in 2006. Unlike a concept car, the experimental models developed by Rolls-Royce Motor Cars have always been fully functioning vehicles, residing in a tangible world of wood, leather and metals rather than clay and foam. EX cars offer designers and engineers the opportunity for real-world innovation and have been used to showcase new components and engineering techniques as well as exterior and interior designs. “Modern automotive engineering is a balance of creativity, innovation and application. 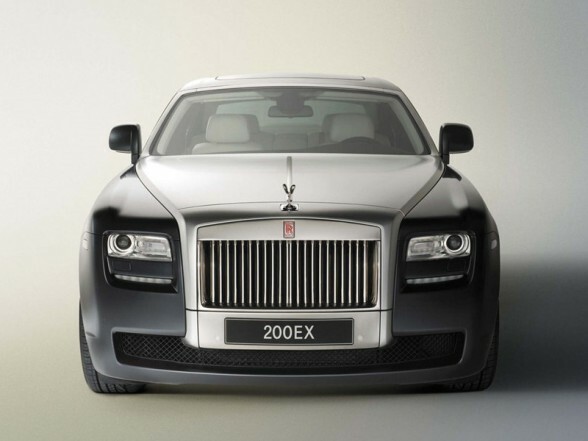 Rolls-Royce 200EX is an opportunity to assess these new ideas,” explains Helmut Riedl, Director of Engineering. 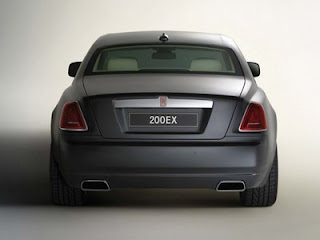 Rolls-Royce 100EX was the first experimental car unveiled after Rolls-Royce Motor Cars was relaunched under BMW Group ownership in 2003. Revealed at the Geneva motor show in 2004, the two-door, four-seat convertible was built to mark 100 years of Rolls-Royce motor car design and engineering. Just two years later, 101EX was presented, which explored modern coupé design. Both of these cars inspired production models that not only closely resemble their EX progenitors but have also redefined luxury motoring in the modern age. 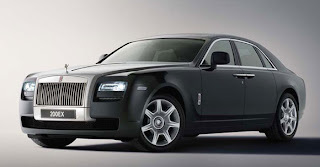 Following on from this success, the same group of designers and engineers has created Rolls-Royce 200EX, itself pointing the way to Rolls-Royce RR4, a new model scheduled for production in 2010. The brief for Rolls-Royce 200EX? To create a modern, lithe and dynamic Rolls-Royce that bears all the hallmarks of the great cars that have gone before it: effortless performance, unparalleled refinement, exquisite quality and confident design. 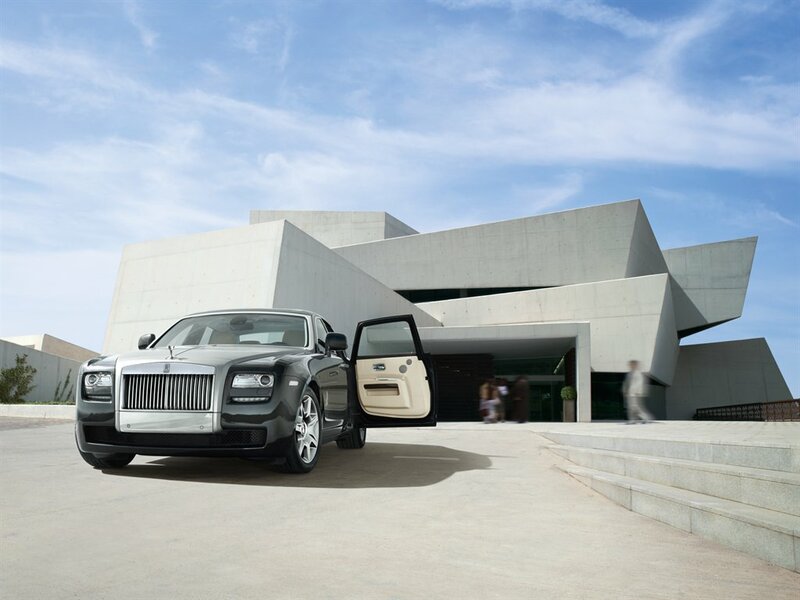 The rear-hinged coach doors give the car a natural presence and sense of theatre. 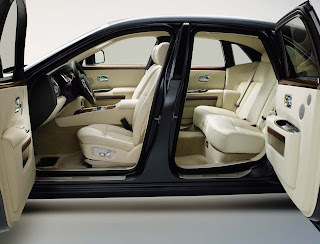 Revived in 2003 on the Rolls-Royce Phantom, this signature feature lends added functionality and style to the design. Opening through a generous 83 degrees, the coach doors offer the widest rear access in the car industry as well as providing the warmest of welcomes to those about to step inside. At the front, a pair of LED headlamps flank the latest evolution of the world’s most famous grille. “We wanted this to be less reminiscent of the traditional ‘Parthenon’ style and more like a jet intake,” says Ian Cameron. The sides of the intake have been curved inwards and the vanes set back into the opening. 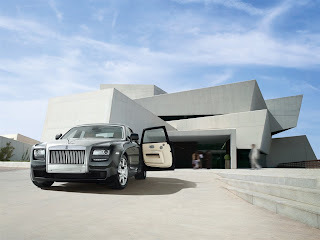 It’s a more dynamic form that moves on from the design first seen on the Rolls-Royce Phantom Drophead Coupé. The exterior of Rolls-Royce 200EX is finished in Darkest Tungsten, which contrasts with the silver satin finish applied to the bonnet and A-pillar. Seven-spoke, 20-inch wheels complete the visual impact of the exterior. Within Rolls-Royce 200EX, Interior Designer Alan Sheppard has accomplished a contemporary atmosphere, incorporating the Rolls-Royce Motor Cars principles of fine materials and peerless comfort. The space is filled with natural light, which brings in a real sense of the outside world. However, substantial doors and a high shoulder line ensure that occupants feel cosseted and protected. In the rear, the intimate ambience of the lounge seat is emphasised by its position behind the C-pillar, heightening the sense of privacy. The interior of Rolls-Royce 200EX is finished in supple, natural grain Crème Light leather, with Cornsilk carpets and cashmere blend headliner. The featured wood veneer is Santos Palissander, chosen for its contemporary look and striking grain.